Beck On World Cafe : World Cafe Hear new tunes and old stories from the past two decades of the pop star's career. 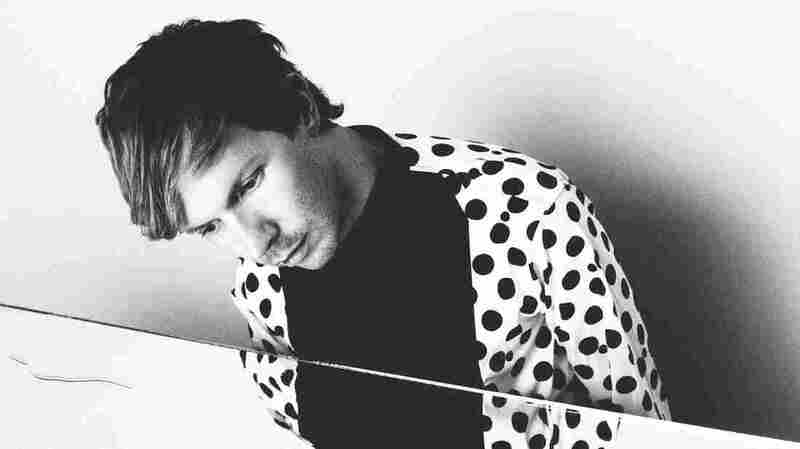 According to Beck, listening to his new album Colors may feel like "jogging in a glass box while there is a blizzard outside and you are wearing a form-fitting body suit ... maybe there are some wolves trying to get in or something." Unpredictable and a little wacky? Yep, but that's Beck. Ever since his 1993 song "Loser" brought rap, sitar, steel guitar and a little Spanish together in what became a surprise hit, he's continued to surprise his fans. We'll talk about what many fans are finding surprising on Colors — namely its bright, shiny, pop accessibility. Plus, we'll dig back into some of the early experiences that shaped Beck's approach — including how the helicopters and hecklers of his East L.A. childhood neighborhood worked their way into 2005's Guero.